Yep, looks to be the same vehicle but the image I recall was in black and white and I believe originated with the Chrysler Corporation. ...... is XM150 merely a longer-barrelled version of M81 or a different weapon firing ammunitions of the same specifications? Would there be any reason why that up-gunned M48 would have been better off sticking with the short-barrelled M81, or would it simply be that if it can handle the M81, it can handle the long-barrelled XM150? EDIT: Upon some online browsing, I have a couple of questions- is the gun used by that up-gunned M48 the same one used by M60A2 or M551? I've come across some references that say they are not exactly the same weapon. That short barrel launchers give me idea: what about Cold War era reincarnation of American WWII turret tank destroyers? Take M48, or M60 carriage, and put lightly armoured turret on it, with gun/launcher with able for firing on high elevation angle (firing from behind walls and hills), with targeting pod on crane. The M81 Gun/Missile Launcher on the M60A2, M551 Sheridan, and prototype M48 were all basically the same weapon system or a derivative of that system that fired a lower velocity (lower chamber pressures) ammunition. The XM150 152mm Gun/Missile Launcher used with the MBT70/XM803 that was designed to fire a higher velocity ammunition such as the APFSDS ammunition designed for it. The Sheridan and M60A2 were not able to fire a high velocity round such as this and relied on the HEAT and HE ammunition for achieving success or the Shillelagh for long range but still with a very low velocity since HEAT ammunition does not require high velocity to achieve penetration. That is done with the high velocity jet created by the shaped charge and molten metal upon impact with the target. Link to some information on the XM150E5 152mm Gun/Missile Launcher used with the MBT-70/XM803 at Wikipedia. Link to some information on the M81E1 152mm Gun/Missile Launcher used with the M551 Sheridan AAAV and the M60A2 at Gary's Combat Vehicle Reference Guide. AMT has a 1/72 M48A5 kit. 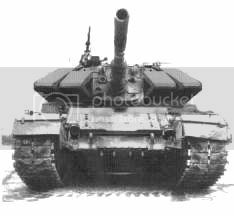 Is there a M48A3 gun barrel or muzzle piece on market to convert it to 90mm appearance ? AMT has a 1/72 M48A5 kit.Is there a M48A3 gun barrel or muzzle piece on market to convert it to 90mm appearance ? Look for something similar in size to the 90mm gun tube from another kit or try to make one on your own from plastic rod. No idea if there is an after market replacement from metal available to make it just a matter of drop in to replace it. Since you want to go retro you are stuck with few options and the muzzle brake on the M47 and M48 are quite unique. Not sure if this would help at all, but both Pegasus and Trumpeter have done 1/72 kits of the M46. The 90mm guns aren't the same as those used on the M48, but the barrels would be the right size. Been looking at various M48 kits. Never picked up on this before. Some have three return wheels for tracks, others have five wheels. One kit even shows five on box art while model in box has three. Does not matter for my kinda kitbashing. Just a curiosity question --- anyone know what story is with M48 track return wheels ? 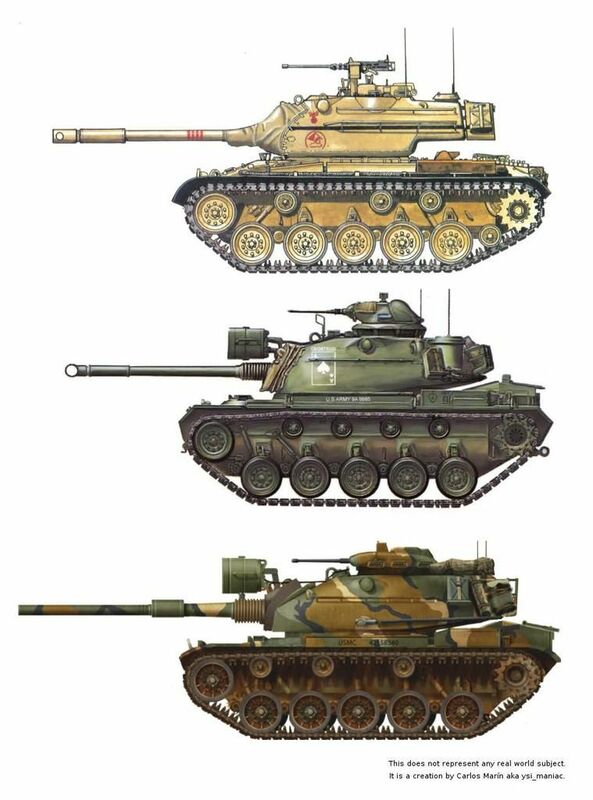 Which model of the M48 do you refer? I have a book from 1982 that shows 7 Road Wheels and 5 smaller wheels at the top in addition to the drive "sprocket" at the rear top on a M48A5 (1980). 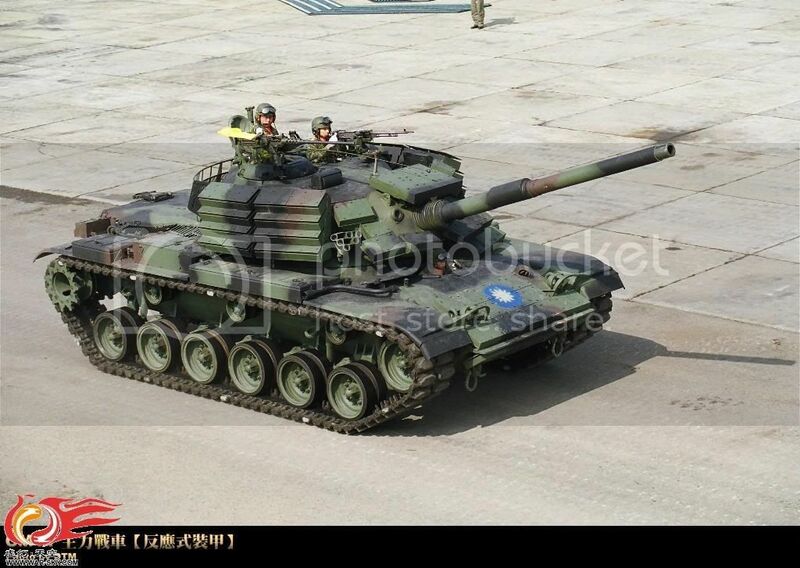 An M48A2 (1968) and an A3 has the same configuration but only 3 wheels at the top. Another photo shows an A3 with the same config as the A5 listed above (1970). A photo on an A1 (1964) shows same config with 5 wheels at the top. Seems like it was a model/year thing that constantly changed. AMT 1/72 M48A5 has 5 wheels on box art and 3 on kit. Tamiya M48A3 has 5 wheels. I have a book from 1982 that shows 7 Road Wheels and 5 smaller wheels at the top in addition to the drive "sprocket" at the rear top on a M48A5 (1980). 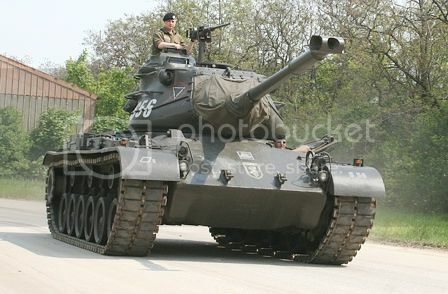 An M48A2 (1968) and an A3 has the same configuration but only 3 wheels at the top. Another photo shows an A3 with the same config as the A5 listed above (1970). A photo on an A1 (1964) shows same config with 5 wheels at the top. Seems like it was a model/year thing that constantly changed. It seems to depend on production batch & reworking / upgrading of hulls during the type's lifetime. The M26 turret should take a Brit L7 if you want to go the Pershing-Kal sort of route. Add a later AVDS 1790 engine deck from an M60 and you've got a pretty good 6 day war/ '73 war tank. That IS a French 105mm in the above mental note. 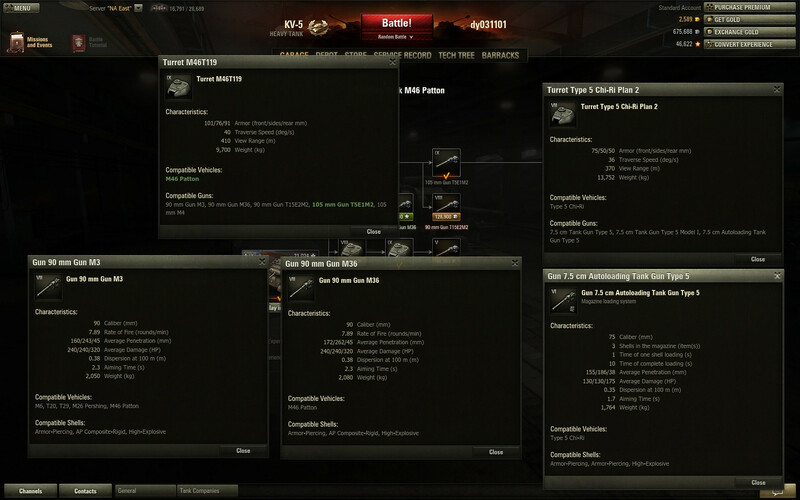 I used the same 105mm/L44 as on the M51 Sherman because the turret ring size being the same. Unless the gun trunion relocation can be pulled off on this one, too. Unless the gun trunion relocation can be pull off on this one, too. A more considered development effort by the French and Israelis and the fact that the L44 was considerably shorter than the long 90mm on the Super Pershing, would have resulted in a much nicer packaging job for the new gun than the hurried effort on the Super Pershing. The trunnions may have had to be moved forward as in the M51, but the large external equilibrator and slab steel counterweights would have been eliminated and a better internal system developed. It may have required a slab counterweight welded to the aft end of the turret or a turret extension al la the M51 to balance the new gun. To consider a what-if M103, I wonder what an upgraded 103 might have looked like if the USMC had kept the 103s in service until the mid 80s and wanted to field the German 120mm gun in advance of the availability of the M1A1. Replace the 103 turret with an M60A3 turret rearmed with the German 120? The overall height would have been less, the frontal area would have been reduced, both resulting in increased survivability. 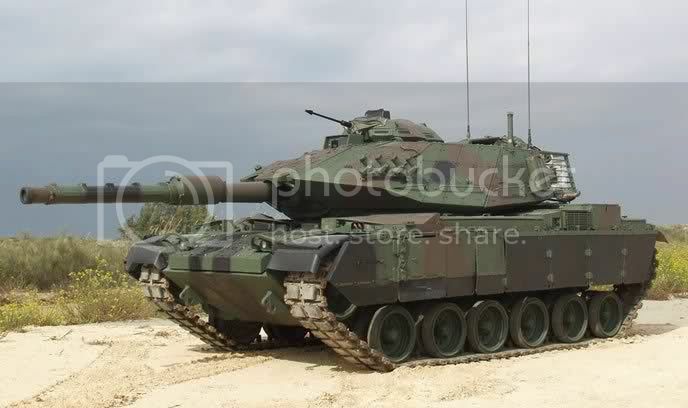 Add the thermal imaging system from the M1A1 perhaps and you have a reasonable interim heavy hitter. Of course, you could also leave the 103 turret in place and replace the American 120mm with the experimental 140mm gun being developed in the late 70s early 80s. The actual 120mm M58 tank gun used by the M103 was kinetically more powerful than the Rheinmetall 120mm gun. If you gave it advanced fire control and updated ammunition (such as sabot rounds), it could potentially be a better weapon than the Rheinmetall 120mm. I do absolutely love the idea of an updated M103 with a 140mm gun and either a new turret or ERA. Shorter tube length than the M58 120 and more a compact breech with a larger casing diameter to keep the round length to something an autoloader can stuff into the breech. The turret ends up a lot lower and, perhaps, streamlined resembling the M60A2's except not as severe and the commander doesn't get that wonky cupola/turret but a lower thermal sight similar to the M1. Turret crew of 2 with a sizable bustle holding ammo. Made with ERA right out of the remanufacturing depots to enhance survivability without investing in Chobham for this interim vehicle. The actual 120mm M58 tank gun used by the M103 was kinetically more powerful than the Rheinmetall 120mm gun. If you gave it advanced fire control and updated ammunition (such as sabot rounds), it could potentially be a better weapon than the Rheinmetall 120mm. How could a 70s-era tank gun autoloader be done right though? Carousel auto-loaders are generally a bad idea for tanks if you care about the crew at all. The US was playing with a number of tank auto-loaders throughout that period and the West even got a few that worked. See the Strv 103 for a good example of that. I think the gun would have to return to the same position after each shot or you'd have to go with an oscillating turret. The US played with oscillating turrets in the 50s and 60s and didn't like them, so I'd imagine they wouldn't go with one in the 1970s. You could definitely do one, though, it's not that impractical. There's nothing fundamentally wrong with the Russian system, the Ruskies just didn't put the right guards on it and stuffed it into too small a vehcle. The M103 was definitely not "too small a vehicle". Autoloaders for large calibre weapons were just coming on line in the 60s in the world's navies. Of course those systems were rather large, even for a 103, but a bit of work over the 10 years until our imagined upgrade could easily see a system developed. Nothing wrong with Russian-style autoloaders. There are a great many myths about Russian autoloaders which were promulgated more to ridicule them than were actually based on facts. The one about loading the loader's arm is a well-known but false one. Carousal loaders have problems with safety in case of penetration but they can be fixed if careful attention is paid to isolating individual ammunition lockers and using a pressurised water jacket. There were several attempts at autoloaders in the 1950s, 60s and 70s. In the West, the most successful was more than likely those in the AMX-13 oscillating turrets. The M103 and the Conqueror heavy tanks had them but they weren't reliable. Apart from that, there were quite a few experimental vehicles. In the East, you have the T62, T64 and T72. It wasn't until modern electronics come along that you see them becoming reliable enough. The need for them has also increased with the increasing calibre of tank guns. 120mm is about the physical limit for most loaders. The new proposed and developed but yet to be accepted into service 140mm guns are beyond what most human loaders can reliably load at a sustained rate in the tight confines of turrets. The French again are leaders in this with their Leclerc MBT, in the West and the Japanese Type 90. With adopting an autoloader significant advantages flow on in the design of the vehicle, with the armoured volume being decreased considerably (no standing human loader means a smaller turret and hull height). It also brings disadvantages in the form of one less crew member for other duties, which increases the out-of-battle things the remaining crew have to do. By the way, for anyone wanting to spend 40 min finding out more about the M103, there's a good overview of it with a former M103 tanker. At about 10 min in on the second video, they talk at length about the loading procedure for the 120mm gun. That may be of interest to people with this discussion. The M103 and Conqueror weren't really autoloaders. They were just assisted. They do have a series of at least 4 videos on the Conqueror, too. 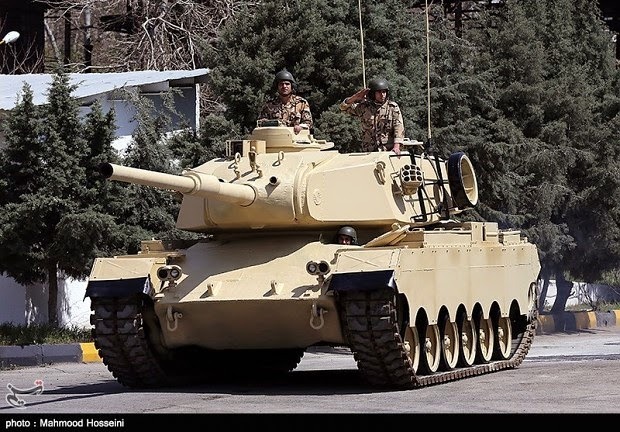 The Sabalan is a rebuilt M47 Patton Main Battle Tank, which Iran has almost 170 in service. 1. 105 mm M68 rifled gun. 4. Modern fire control system. I have to admit, that is an attractive upgrade. And sensible too compared to a lot of their other super weapons. Sheets of drywall and plaster, perhaps? Let's say "better" fire control system. With no wrap and no muzzle reference system, it ain't modern. It may be the equivalent of the M60A1 systems in their other tanks. Up from a No 11 set to a No 19 wireless? Don't be insulting. The TC just got an iPhone. Just a thought, use a fixed gun in the turret with elevation by differential suspension as on the Strv 103. Can also include M41 and M42 on favorites list. Nice - what are for plans for it? Greg, I'm not 100% sure, I just like the look of it. May just keep it stock standard, or I may add a few very minor mod's & do it as a RAM tank. I already have a Merkava IV LIC for that purpose & it could fit into a theme of closer ties with Israel, or at least IMI (which is pretty much the same thing). Possible basis is Australian industry develops something (Don't ask me, I haven't got that far, yet!) that the Israelis would like to use & suggest an information & equipment trade which sees Israel initially supply the RAM with upgrades for their M60's (did I mention that the RAM buys M60's instead of Leo's?) & then an Australian Marine version of the Merkava IV LIC. Well, the M60 was looked at as an alternative to the Leopard 1 by Australia so it wouldn't be too great a stretch to say that the ARA did get M60s (maybe designated M60 (AS1)) instead. 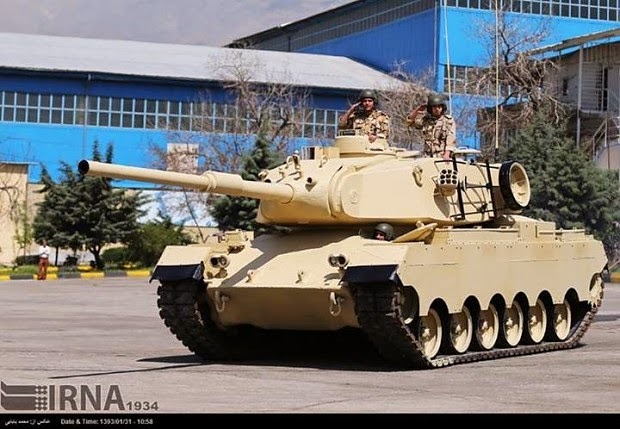 You could then do the Magach B6 Gal Batash as an updated M60 (AS2) as a potentially lower cost alternate to the ARA M1A1s. Possibly even replace the main gun with a 120mm one similar to the Sabra upgrade? Paint overall thing in ARA colours and it would look great IMHO. Hell, if you don't do this I just might! Well, the M60 was looked at as an alternative to the Leopard 1 by Australia so it wouldn't be too great a stretch to say that the ARA did get M60s (maybe designated M60 (AS1)) instead. The competition as between the Chieftain, the Leopard 1 and the M60. The Chieftain was eliminated on cost. 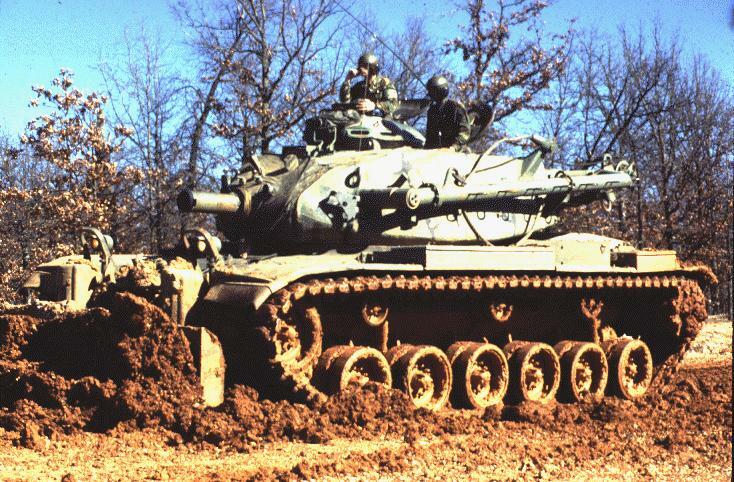 The M60 'cause the US couldn't guarantee a single tranche of all 100 vehicles as the US Army had priority at the time as they were re-equipping with them. It was also more expensive than the Leopard 1. The Army decided that as it was likely they would end up with several different sub-types which would make training and maintenance more difficult if they bought several different tranches of vehicles, as well as the cost which would make it prohibitive for them to be able to purchase sufficient to equip 1 Armoured Regiment plus a training squadron (shades of the M1 Abrahms purchase), they would pass on it, in favour of the Leopard 1. The Germans also offered a better deal on Australian industrial involvement - the four AVLB tanks were to have their bridges built in Australia. The Germans however reneged on that and supplied the AVLBs, with bridges. 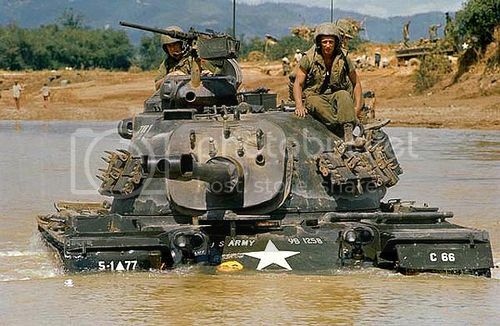 The M60 would have been more expensive to operate, it was like most US tanks, notoriously thirsty. Spares though, would have been less expensive. It was more heavily armoured than the Leopard 1 but less nimble . 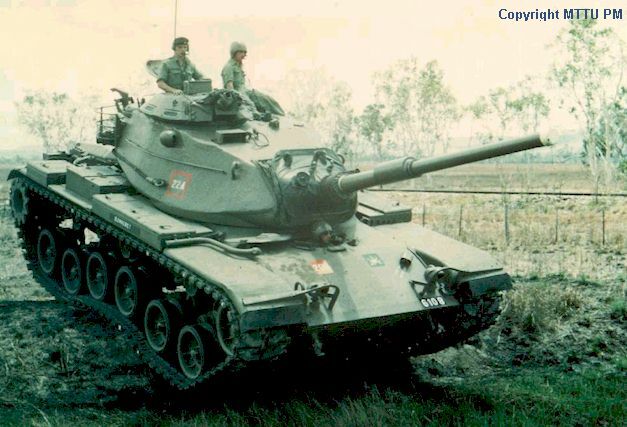 In the original M60, its FCS was quite primitive compared the Leopard AS1. There are pictures around of the M60 trials vehicle wearing 1 Armoured Regiment's tac signs on the hull glacis. However, they would have been like the Leopards in plain green, in this case US Army Olive Green for the first decade before they started experimenting with camouflage on them. I guess my thinking on the M60 acquisition by the RAM (not the ARA) is that they were willing to trade off on agility & fuel consumption for better protection during landing operations & cheaper spares. Also, during the period of their decision, their focus is on interoperability with US forces in Viet Nam - where they have found themselves short of armour & having to rely on "borrowed"/leased M41's - & perceived "small island" threats in the Asia-Pacific region. The initial purchase would be of slightly modified M60A1's, called the M60AS. I may take Greg's idea of upgrading to a 120mm gun to plastic, if I buy another kit, or in story form, if I don't - with the upgrades being something along the lines of the M60AS Phase 1 (M60AS/1) & M60AS Phase 2 (M60AS/2). 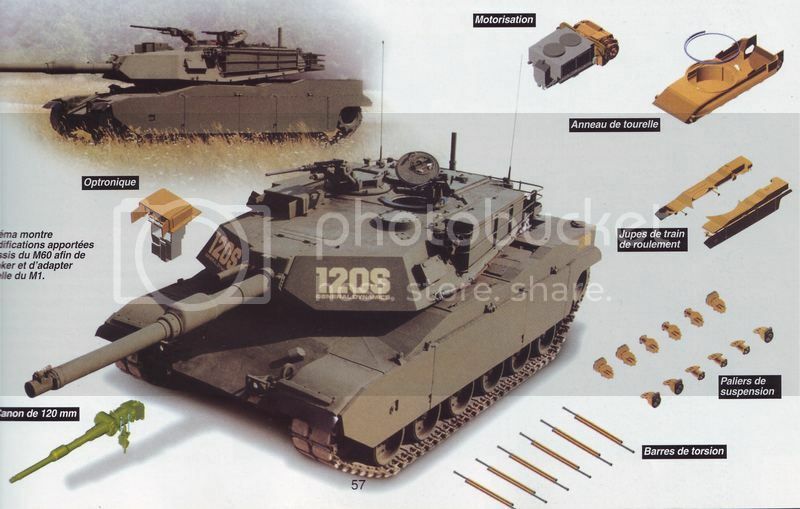 Edit PS: The 120mm M60AS/2 upgrade would be a stop-gap whilst the IMI-ADI (Australian Defence Industries) nut out the technicalities re: Israeli-Australian component manufacture for the Merkava IV-AS LIC (called the Monash in Australian service) & would not include full upgrade to the full Magash 7 standard. 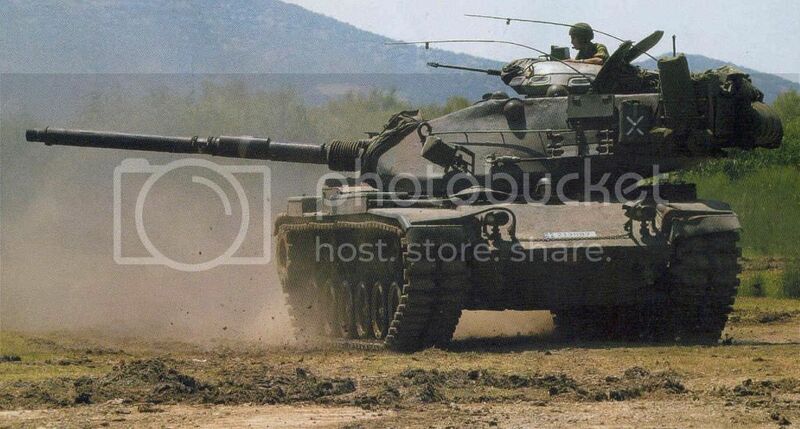 I have read a bit on the Leopard vs M-60 trials but only vaguely recall mention of the Chieftain. I had assumed it had been ruled out due to mobility and reliability concerns due to a personal belief the type had a bad reputation for such. Subsequent reading has changed that opinion and I am interested in your statement that it was eliminated on cost grounds and wonder if it was actually trialled at all and if it was how it performed. I am curious as the performance of the Centurion with the RAAC would I imagine have given the Chieftain a leg up in the competition. Early Chieftains had reliability problems and were rather underpowered. However, by the time the Australian competition came around most of those problems had been eliminated. It was still a bit underpowered though, even by the Mk.5 but mobility was a secondary consideration compared to protection and firepower in the design. It was quite expensive and eliminated AIUI from the competition even before the trials stage on that basis. IIRC two Leopard 1s and two M60s arrived in Australia for trials. The M60 did quite well but cost and the problems with availability told against it. I'd expect them to get M48a3s then, Guy, if it's during or just after Vietnam. As already related, the M60s were in high demand for some time. Only Israel had higher priority than the US Army. 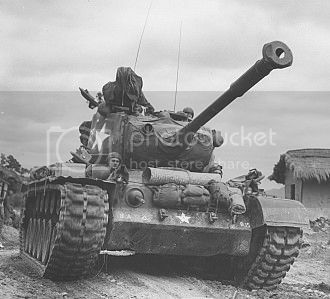 The M48 was actually not a bad tank and did quite well in most of the conflicts it was involved in, when it was handled properly. The main exception was the Indo-Pakistan war of 1971 but that was primarily a problem with inferior Pakistani command, than necessarily the vehicle itself. I remember that statement well and coming after the defence cuts and project cancellations of the late 90s was just icing on the cake. I have often found that those who believe Australia spends too much on defence honestly believe that we have a defence force approaching the size and capability of the US and that many of those, including politicians change their tune when they discover just how small the ADF is. It is actually inconceivable to the average person that a nation with Australia's geography doesn't have hundreds of tanks, fighter jets and a couple of aircraft carriers. 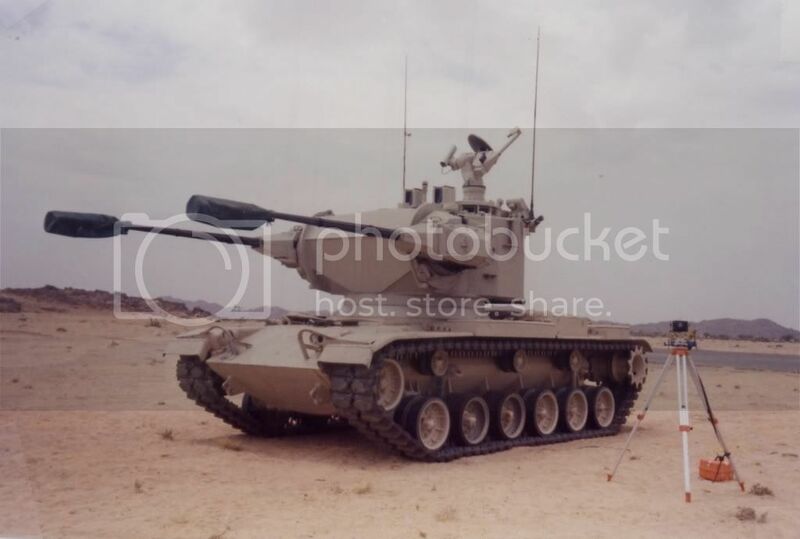 An Australia Chieftain or even Challenger I buy would have been great for the 91 Gulf War, as would an M-60 buy to be honest, it would have permitted Australia to actually send a battle group to support allied forces. Never understood why under our old structure that we didn't attempt to maintain an up to date armoured brigade, they don't really cost that much more than a LI bde while providing significantly more combat power. To me a CAV (wheeled), able to deploy self supporting combined arms squadrons, formation is a no brainer, as is an actual tank brigade (two tank, one armoured infantry btns) and an air mobile LI brigade with everything else being to fill gaps and provide enabling capabilities, i.e. an APC regiment to lift the LI as required, possibly with a sqn of AAV-7s and another of Vikings / Broncos. This works as long as you're only pointing the gun forwards. Your ability to depress or elevate the gun to the side on uneven terrain becomes severely compromised when you have to rely on the suspension to do it for you. It also means that you essentially can't fire on the move, since the suspension can't be relied upon to both propel the tank in one direction and depress or elevate the gun to any target off the centerline. In that sort of case, why bother with the turret at all? Then you end up right back at the S-tank. Early Chieftains had reliability problems and were rather underpowered. However, by the time the Australian competition came around most of those problems had been eliminated. It was still a bit underpowered though, even by the Mk.5 but mobility was a secondary consideration compared to protection and firepower in the design. This statement surprises me, if I'm honest. I know the Chieftain's reliability and mobility improved considerably over its service life, but I've never read that it was "good". Everything I've read says that was the vehicle's Achilles' heel right up to the end. Again, it got much better, but it still wasn't as good as the Leo or M60 according to the accounts I've come across. It's all relative, Logan. The British army came away from WWII with very different lessons compared to the US and German Armies. They placed protection as the primary attribute for their tanks. Firepower came second and mobility last, so the Chieftain suffered for most of it's life from being what appeared to be being underpowered compared to its US and German counterparts. However, neither of them could really go head-to-head with the enemy in the same way as the Chieftain either. Towards the end of it's service life, reliability was quite good, by all accounts but it was still a sluggard. When the Jordanians took over a large slice of the UK Chieftain and Challenger I fleet they upgraded their engines and firecontrol systems. They even did so to the Chieftains that the Iraqis had captured from the Iranians. The Iraqi had over a hundred Chieftains in their fleet when Gulf War I rolled around. A few were encountered by the Allied Coalition but didn't perform well because they were mishandled. 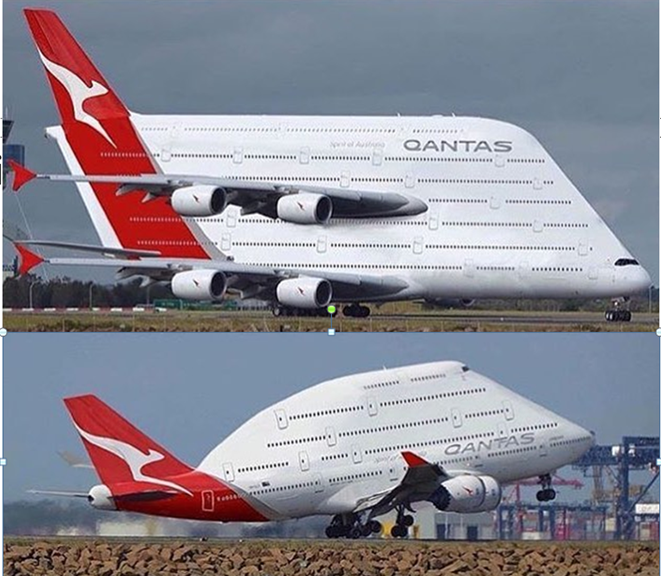 It's just a different approach to the compromises the designers faced. It's rather like how most Soviet/Russian equipment is misjudged because many Westerners don't understand the reasons why it's designed the way it is. I'd suggest they were thinking longer-term for the major purchase of the M60's, possibly with a small number of M48's leased/lend-leased in-country in Viet Nam, later, to bolster the M41's. The overall RAM purchase wouldn't have been as large as an army one, either. ... but this is Whif World, after all, so a little bit of leeway shouldn't be too much to ask. Yes, I like the look of the M48, too (especially the A3), but, in comparison to the M60, the M48 was poorly armoured & under-gunned. 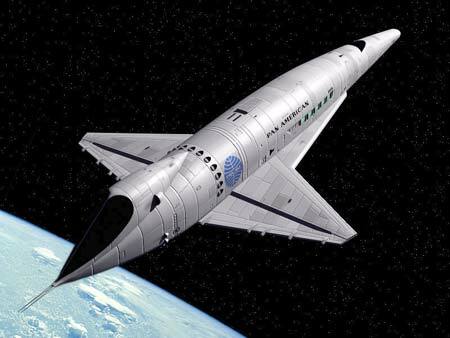 Besides, the Israeli modifications are pretty cool! I was just pondering an indigenous modernization program for the M-48s in RAM service. Take the best of the lot as the US begins to transition to the -60 and bring them to Australia? Sure, why not? I'd see a SLEP starting with bolt-on armor leading to new composite turrets with upgraded guns (105s, then 120s?). Internally, engine/drive train modernization as well as communications/fire control/survivability updates that are tailored to the threats/situations the RAM would face can also be integrated. 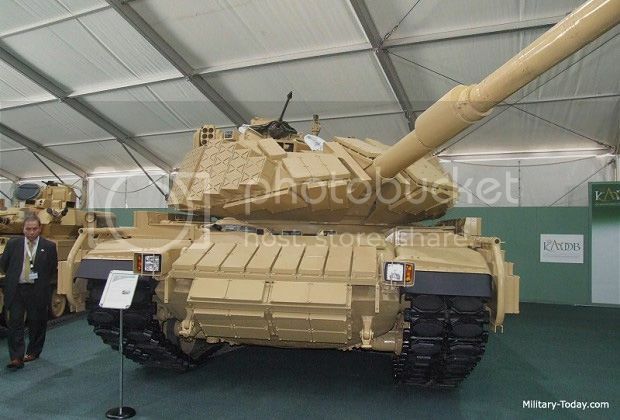 This way, you'd get a unique, Australian MBT that looks almost nothing like the basic M48, nor any of its other derivatives in service anywhere else in the world. This comprises of a up-gunned M48A2 turret mated to an M60A3 hull. Couple of pics from a July 1968 AW&ST article on automotive gas turbines. On a purely aesthetic basis. My favorites are M-47 and the M-48 with T shape muzzle. Got a de-barrelled Israeli M-48 that I need to fix one day. It is perhaps the best build I ever did which is why my psycho adopted brother took such pleasure in wrecking it and then bragging about what he did. Need a new barrel but more to the point need to match the paint which is the killer. I think that depends very much on where you believe the RAM are going to be operating. The M48 was more than adequate in Vietnam and quite capable of taking on T55s as was shown in the 1972 offensive. Just say it's got a replacement tube and the paint is brand new and so doesn't match the rest of the vehicle. I must admit I like the M47. It was quite a well shaped turret and looks the part. Perhaps from watching too many Hollywood Spanish WWII movies? The T-shaped muzzle brake on the M48 is also a personal favourite. Perhaps 'cause I watched too many Japanese monster movies as a kid and the Type 61s always had one? So now you have an opportunity to really tart up that M48. 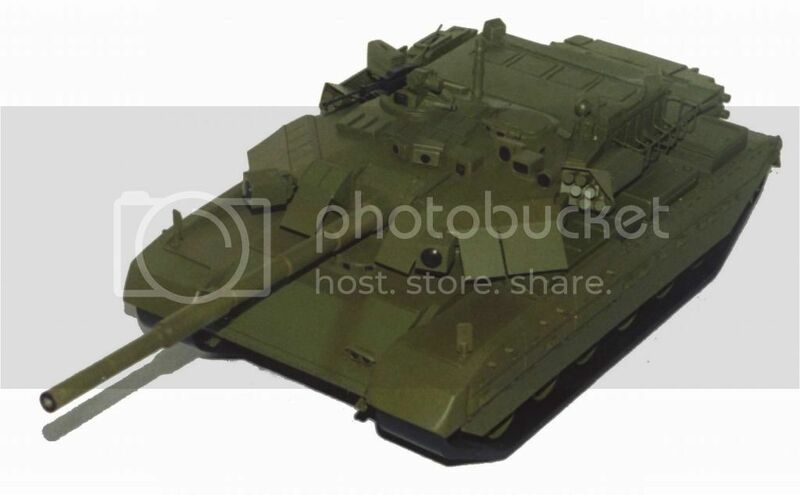 As for the cupola, keep it simple, if you have an M113 cupola in the spare parts box it will fit. Other options to consider would be the gunner's turret from the LVTP-7, this is the turret with the single M85 .50" MG and not the UGWS with the M2 .50" BMG and Mk19 40mm GMG. Other options that are retro would be to look at the early Sherman cupolas from the big hatch Sherman which had both types of cupola. There was an image in an old Israeli publication showing an M4 Sherman all-around vew cupola mounted on an M48. 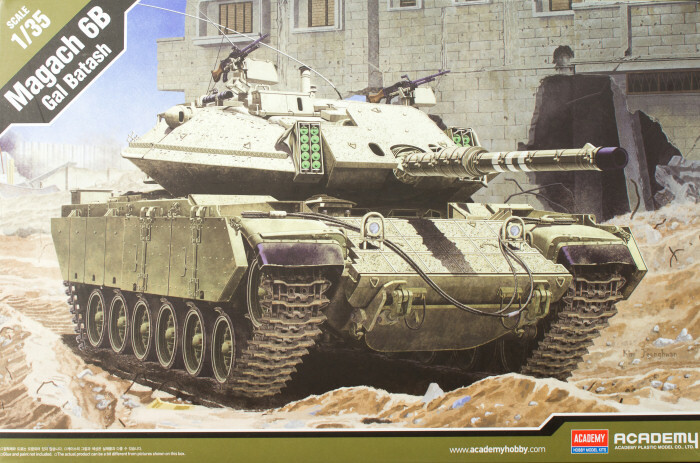 This was before the IDF went to the "Urdan" cupola as standard. Better Ammo For US Medium Tank Grade 90mm Guns? 90mm GIAT F4, who's APFSDS round is claimed to be able to penetrate the glacis of a baseline T-72 at 2000m. If that 8.5 tonne armoured car can carry it in it's 2-man turret, I see no reason why the 23.5 ton M-41 couldn't fit it in it's 3-man turret. I've been hearing people putting the US medium tank grade 90mm guns into the same category as the German 88mm L/56 whereas the Russian 100mm gun is seen as being on the same level as the more-powerful 88mm L/71...... and the 100mm gun remained in use all the way up to now despite bigger guns have been exported. Did the 90mm gun actually have unrealized potential, and if so, would the ammunition technology of the 1980s have been able to keep the gun reasonably useful (the French 90mm F4 gun being the one measuring stick I can find) as an anti-tank weapon? Or am I still better off going through the trouble of a full-on gun replacement? I've long put the British 17pdr, German 7.5cm L/70, German 8.8cm L/56, and US 90mm M3 guns in roughly the same category for penetration. Obviously, the British 20pdr, German 8.8cm L/71, and American long 90mm (T15-series, for example) would be superior to the shorter guns. So, where do the Soviet 100mm guns fit? Well, for me, somewhere in the middle, but leaning towards the latter group, especially in the postwar years. Again, though, you have to realize a bunch of things. First of all, comparative tests from the period are terribly flawed, to say nothing of the raw data from the various nations. What counts as a "penetration", what was the Brinell rating of the target armor, etc. That means that most of this is guess work at some point. Also, ammunition quality matters quite a lot, generally US and USSR ammunition in WWII was pretty terrible but got better as the war went on. German and British AP ammunition tended to be of a consistently higher quality than US and Soviet ammunition during much of the war years. There are plenty of exceptions to these, though. 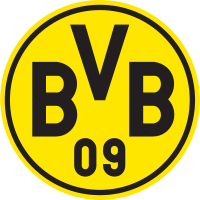 For example, Oskar Schindler was famous for producing thousands of rounds for Germany that were of intentionally poor quality. The Panther's 75mm and the British 17pdr and frighteningly similar guns when you compare them, much long the American M3 90mm and the Tiger I's 88mm gun are very similar to each other. The 7.5cm KwK 42 L/70 and QF 17pdr are notable for being the lowest caliber guns in the group by quite a fair margin. They were higher velocity, incredibly accurate, and had amazing penetration. They were also smaller, lighter rounds, so you could reload them faster and carry more of them. The downside? The HE rounds were pathetic and their barrel life was quite short. This isn't just an interesting factoid from the testing grounds, these all translated to actual battlefield trade offs. The American long 90mm guns were just experimental and never had all the bugs worked out. The postwar guns actually relied heavily on HEAT rounds, so the AP performance was not as important. From what I've read, M48 Pattons with 90mm guns could reliably knock out T-54/55s in combat, but struggled against IS-3s. The fantastic British 105mm L7 did not have that issue and was better in every conceivable way (comparable to the Soviet 115mm). My personal rule of thumb is that, other than a few outliers like the 57mm ZiS-2, a Soviet gun is generally best compared to the Western gun of slightly lower caliber. That's usually do to a lower velocity and results in being able to carry fewer rounds, being slightly more inaccurate, and taking longer to load. It has the advantage of a shorter development cycle, extended barrel life, and greater HE content. From what I've read, M48 Pattons with 90mm guns could reliably knock out T-54/55s in combat, but struggled against IS-3s. 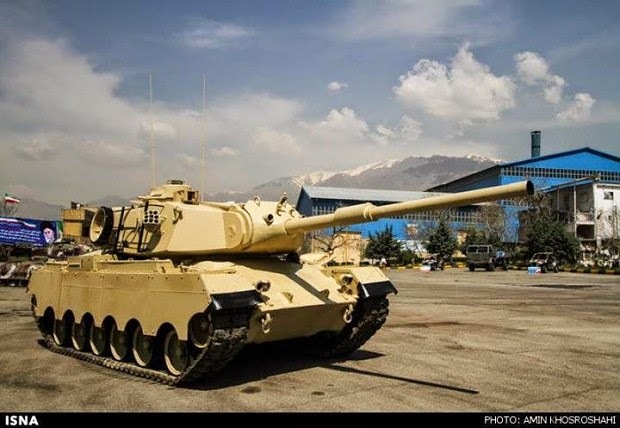 It would seem to me that most M48 Pattons involved in combat beyond those operated by Israel are M48A3, which seems to have a different 90mm gun from those of all Pershing and previous Patton models. Are they completely different guns using different ammunition or is M48A3's gun just a mere successor of the previous 90mm guns that can fire certain new kinds of rounds (that allows the M48A3 to better deal with T-55 than, say, M47 and M36 in Yugoslav Civil War could?) but are otherwise compatible in terms of ammunition? As for the French F4 gun, what factors contributed to its suitability as a tank destroyer weapon in the '80s compared to the American 90mm guns? Would those factors have been applicable to those American guns if there was the will within that time period? Yes, I know the US postwar 90mm guns were different than the WWII models, I wasn't trying to imply any different. As to their effectiveness, I'm not sure, I'd have to look it up in my Hunnicutts. From what I remember, though, the WWII M3 90mm had difficulty with T-54/55s frontally, but I've not read of major issues from M48 Pattons in that regard. One other thing to note is that the T-54/55 was actually quite weak from the side and rear aspects. 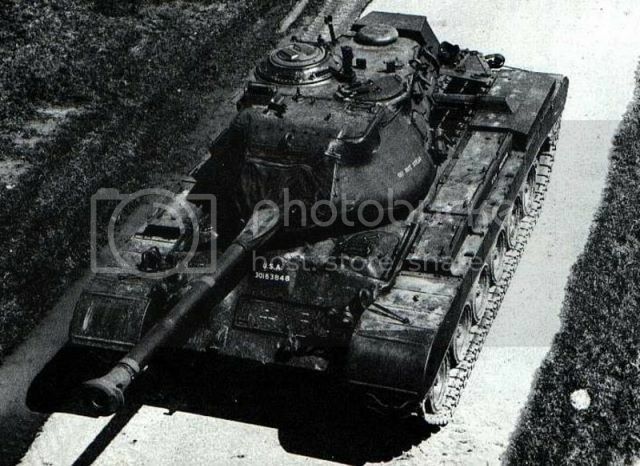 I've come across accounts of M18 Hellcats in the Yugoslavian Civil War knocking out numerous T-54/55s with medium-range shots to the side armor. As for the postwar French guns, I don't know enough to say for certain, but I'd imagine it was a combination of higher velocity and better ammunition that allowed it to continue to remain effective decades later. I think they used APFSDS, something that the US 90mm guns didn't benefit from in the 40s and 50s. Yes, I know the US postwar 90mm guns were different than the WWII models, I wasn't trying to imply any different. I'm not saying you are, just that I'm trying to be as specific as possible so that amateurish guesswork on my part can be kept to a minimum when I go messing around with ideas for mental notes later on. Were you thinking of the DCA 45 gun? It does appear to be another one of those guns in the same category as the German 88mm L/71, but I don't think it served beyond the ARL-44. I was thinking of the F4 moreso. Again, that ammunition makes a big difference. No problem. Remember, though, my opinions are that of a complete amateur and are just based on what I read. I have no special insight into any of this. Maybe I don't have to involve turret from the M41 light tank after all...... just take the T42 turret, add a APFSDS-capable muzzle brake and voila! As a former WoT player with a few thousand games under my belt, I'd take all of their statistics with an Imperial ton of salt. They tweak them to fit the game. It's a game first and a simulator last. Trust no statistics you read on there. It's a game first and a simulator last. Trust no statistics you read on there. From what I've read during these couple of days, it would seem that US 90mm guns, while being of different designs, actually share ammunitions...... perhaps M47 and M36 didn't perform well against T-54/55 in Yugoslav Civil War because YPA did not acquire M48 and did not see much point of new ammunitions for their M36 and M47? Muzzle Velocity: - 820 m/sec. Muzzle Velocity: - 884m/sec (APCBC) M82, 853m/sec (APCBC) M318, 853m/sec (HEAT) M348a1, HVAP (APDS) 895m/sec. M332A1 APDS = 160mm@unknown range@unknown (more than likely 500m@60deg). I'd also recommend consulting - http://www.wwiivehicles.com/usa/guns/90-mm.asp for penetration values for earlier US 90mm guns. Not really comparable on the basis of the sketchy information available that I've found on the 90mm M41. I did some further readings on the M47...... it is said that the M47 carries 71 rounds of 90mm ammunitions, with 11 of them stored vertically around the left wall of the turret basket and the remainder in racks under the basket floor. Is that "remainder" as illustrated below the main gun in the attached diagram? Are the racks contained within the diameter of the turret ring or do they extend beyond? Can I assume that the below floor ammo racks are wet storage? In fact, where in the diagram is the turret ring floor? Don't assume that such diagrams are necessarily 100% accurate. The ammunition obviously went somewhere! I doubt it would be wet stowage under the floor. My limited experience is that underfloor stowage tends to be dry. Most of your questions might be better asked over at Tanknet than here. There they have people who actually crewed many of these vehicles. Just be aware, they are though, a bit, shall we say, paranoid over there. Not a whif but what an awesome diorama possibility! often omit features that would obscure what the diagram is pointing out. They are not the same as an 'artistic cutaway'. Random idea: M60 fitted with turret from Gepard to create air defence version of M60. Not quite a Gepard turret, but here's a Marksman turret on an M60! LINK to more pics. And then there's this cool-looking beast, the XM246, competitor to the ill-fated "Sgt York". Thanks mate! I figured someone would have done something before. My thoughts are that the M-60AD would be a quick development in the '70s/'80s instead of the M247. From a survivability perspective, it would be tactically sound to use the same turret as the standard tank to get rid of that signature look that identifies you as the higher threat in any engagement. Use the standard turret and all of the normal features to help it blend in with the rest of the tribe and not stand out as the target to be engaged first. 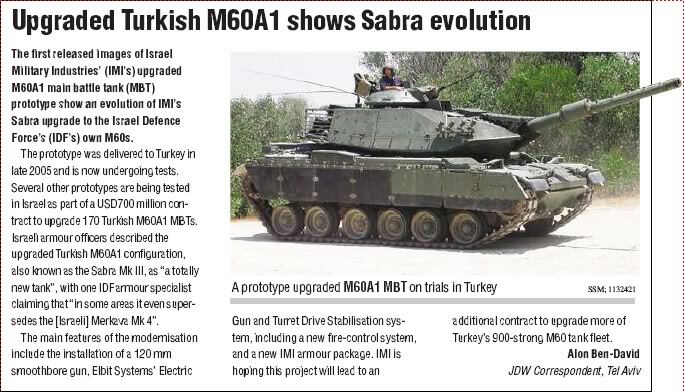 Would you think it possible for a T-55M3 (see attachment) to be hard to distinguish from a Sabra III from a distance? I brought up the T-55M3 because, at least the way I see it, the turrets of the T-55 and the M48 are somewhat similar in shapes...... perhaps a up-armouring package that can double as a vismod of sort for that M48 with 152mm gun-launcher to help blending in with allied Sabra III? Attachment 1: The turret on the afore-posted M48 with 152mm gun-launcher appears to be that of a T95 medium tank prototype. Attachment 2: Another development armed with 152mm gun-launcher...... this time with the long-barreled M150. The turret seems conventional, but the location of the gunner's sight...... looks weird. America, where M60A3 tanks are used to fight avalanches. The fall comes early to Stevens Pass, where US Route 2 arcs through the Cascade Mountains east of Everett. Here the leaves are changing color in early September and Marty Schmoker makes his final plans for the annual battle against Mother Nature in keeping the pass clear for travel and commerce. Stevens Pass is the northernmost pass kept open year-round in the lower 48 states. Schmoker, a 43-year old native of Leavenworth, nestled below the eastern approaches to the pass, works for the Washington Department of Transportation (DOT) as its Avalanche Control Supervisor for the north central region of the state. Despite its higher altitude, Stevens Pass actually experiences fewer closures than Snoqualmie Pass. Avalanche Control works apart but in coordination with the maintenance teams, based at a large complex located six miles east of the pass. Once built as a self-contained maintenance city of crew billeting and equipment garages, the large dormitories now stand idle, with only 10% of the rooms used for temporary crews brought occasionally from Wenatchee. Both the techniques and manning of pass maintenance have changed over the last generation, and the massive manual efforts of yesteryear have been largely replaced by technicians and specialized equipment. In snow season, Schmoker’s team makes daily weather and snow observations, beginning about 3:30am. The Northwest Avalanche Center at Sand Point provides overall reports and maintains data bases, but Schmoker also has historical data for Stevens Pass, going back to 1910 [detailed scientific data since 1956]. A “Nearest Neighbor Model” computer simulation exists for avalanche use, but Stevens Pass conditions present nearly impossible odds for prediction. The decision for a tactical “mission” to bring down a snow pack and ease the increasing danger of a more major avalanche later brings Schmoker’s team to their arsenal. Besides improvised explosive charges placed using snow cat tractors in the center or top of snow pack (feasible when the snow is dry), Schmoker has acquired an impressive array of surplus military ordnance. Recoilless rifles have been in use the longest. The crews prefer these aging 105mm weapons from the 1950s, mostly because of a now-dwindling supply of high explosive shells which have produced the best results. A 105mm howitzer also fires high explosive projectiles, but at a lower velocity and with less accuracy than the recoilless riles. But the supply of munitions for the venerable M101A1 howitzer, still in use worldwide, will remain endless. The newest addition is a platoon of M60A3 tanks, acquired in 1995. The tank now serves as the preferred weapon on the western approaches to Stevens Pass, and the recoilless rifles serve on the eastern side, with the howitzer held in reserve. Some of the recoilless rifles are sent to the Snoqualmie unit as the preferred weapons there. 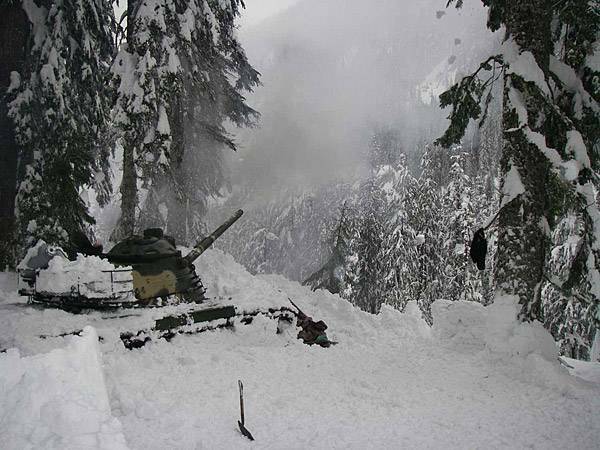 The tank cannot cover the eastern approaches because of the steep elevations required and the four firing platforms used to cover the snow packs. Deep snow makes it impossible for the tank to move between them. The foot of Old Faithful, where the snow threatens the Tye Valley western approaches, can be reached from a single firing position, and the tank stands vigil there in-season. Washington State’s DOT started acquiring these weapons in 1961. The state national guard required three days notice for normal activation of personnel and this was not sufficient for the conditions. The transfer of weapons from guard and federal government sources thus improved the situation. The DOT arsenal now consists of four tanks, M60A3, with 105mm cannon; five 105mm recoilless rifles, M27; and one M101A1 105mm howitzer. Marty Schmoker also considered using aircraft, an OV-10 observation plane and a UH-1H helicopter, both equipped to carry 5-inch rocket pods. However the rockets remain too unreliable for the precision task at hand and the public safety environment. Of the four tanks, the most recent acquisitions, only one stands duty at Stevens Pass, and the other three remain in storage at the Yakima Firing Center. Although only one tank is required for Stevens Pass and another earmarked for eventual use at Snoqualmie, the other two will remain at Yakima as training and spare vehicles. With the surplus tank fleet depleting rapidly in the 1990s, Schmoker made his calculations for a program lasting over twenty years and rounded up the vehicles, parts and ammunition to sustain the DOT operation, long after the remaining surplus vehicles will have gone to scrap yards and museums. Schmoker takes his full team to Yakima for annual gunnery training at the Army Firing Range each fall. Ammunition for the tank is ordered from the Army, from a total of 80,000 rounds of a selected lot of plastic high explosive rounds set aside for DOT use. 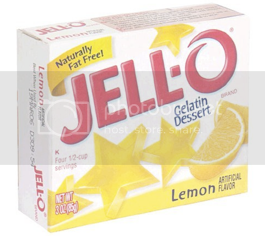 At a bargain price of $18.00 per round, it is shipped annually to Avalanche Control for their use. The older recoilless rifles are fired from fixed towers and ground mounts. They remain a handy weapon, easily sited in tight spots, as long as sufficient space remains for the firing back blast peculiar to their design. The supply of 105mm HE rounds for the gun has dwindled to a mere 1150 and a change to the plastic explosive projectiles will bring unwanted duds, which have to be located and neutralized in the spring. How much ammunition is required? Schmoker’s men expend anywhere from zero to six or seven hundred rounds per year. In 1999, a below average year, Schmoker directed two tank missions and 16 other ones, totaling about 200 rounds of ammunition. In 1998, a total of 150 recoilless rifle and 210 tank gun rounds were expended. The DOT obtained the howitzer in 1991 and Schmoker’s men took a three day course at Yakima, from the guard artillery regiment. The M60 arrived in 1995 for evaluation. The guardsmen fired it that winter and Schmoker’s men took over thereafter. In each case, Schmoker’s men have altered the firing procedures to emphasize safety vice the speed of combat firing procedures. Schmoker is now writing a series of operating manuals for the use of these and other weapons in avalanche control, which the DOT will furnish in CD format to other states using weapons this way. These instructions include the maintenance, crew organization, operation, firing procedures for snow control and concepts for minimum manning. These will take the place of a broad range of military manuals previously needed, as well as supplying some of the peculiarities of snow control with weapons. All five of Schmoker’s crew routinely operate all weapons. They have trained at each position on the tank and frequently enjoy training exchanges and competitions with Army and ANG personnel. The idea of a tank came late to Schmoker, who was looking for flat-trajectory weapons to supplement and eventually replace his older recoilless rifles. When at Yakima, officers told him that the dozens of M60 tanks stored there had been earmarked for disposal. Many would be stripped for dumping in the ocean as artificial reefs for fishery programs. Knowing that the high velocity tank gun would meet his needs, Schmoker looked for an opportunity to test and perchance acquire one or more of these 57-ton monsters for his DOT arsenal. Because of the higher velocity of its projectile, Schmoker found that no duds occurred when firing 105mm tank rounds into the snow, including the plastic explosive projectiles. Faced with a 1:4 dud rate with plastic ammo in the recoilless rifles [only 1:400 with the scarcer HE ammo], the tank seemed ideal. At its firing position west of the summit, the tank crew prepares targeting range cards to the 12 impact points used to bring down the snow pack. These calculations of elevation and deflection can then be used day or night for fire missions (nighttime is preferred, to minimize public attention). Since 1996, the tank has performed all missions in the west side, and the howitzer has been relegated to backup status. It has also been employed on occasion in the North Cascade Highway ( merely to test the snow stability, used there as a tool vice an avalanche control measure) to economize on recoilless rifle ammo. Other U.S. states presently using surplus military weapons include Alaska, Utah, Wyoming, and Colorado; the National Park Service and the U.S. Forest Service also have similar operations. Marty Schmoker has qualified himself as an operator and maintenance man in all these and other weapons. He calls upon the ANG for an annual technical inspection, but otherwise performs the maintenance which would be done by specialists in regular tank battalions. 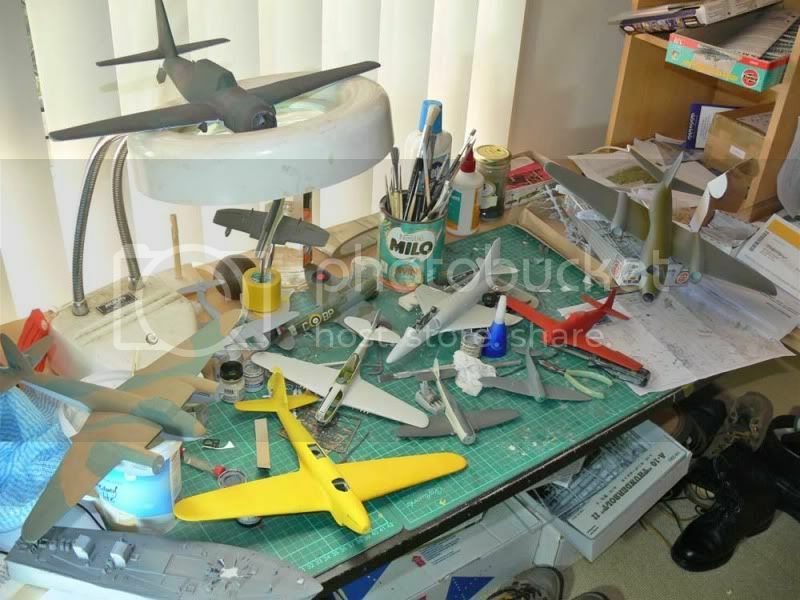 His parts array includes spare engines and spare barrels for the tanks as well as two full sets of track. He once threw a track on the tank and restored it himself, taking all day to do what normally requires most of the crew to do. 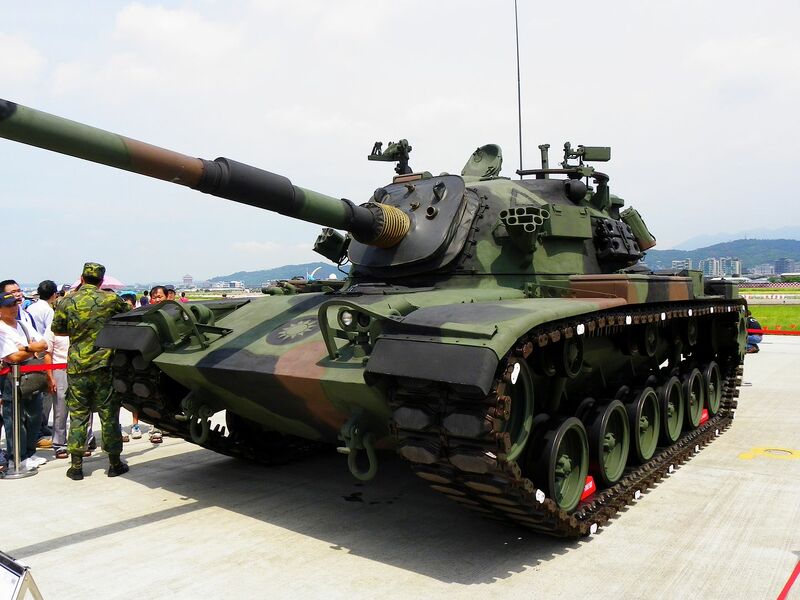 The furnishing of a tank to a civilian organization, albeit from a state government, attracted much concern and attention from defense sectors. Legislators, the Army, the Dept of Defense and others all weighed into the project, especially after an unfortunate incident occurred in San Diego, where a disgruntled guardsman stole an M60 tank and led police forces on a wild chase on road and freeway. Schmoker demonstrated the control provided by his facility and other safety and security measures to satisfy a large gathering of state and Pentagon officials. Now, couldn't you just see that M60 in yellow & hi-viz orange, so they didn't lose it in the snow!? That hi vis green or yellow color seen on certain fire trucks. Well, there aren't many of them ............. but it takes at least one round of 105mm HEAT to stop one. Regarding the M60A3 tanks that are now owned and operated by the State of Washington State, Department of Transportation. I would be nice to see these tanks repainted in WSDOT colors for the purpose of public relations and ownership purposes. *SIGH*, all but extinct nowadays, like so much of our native fauna, except in some quarters of the human population. It reminds me of T110E5 in World of Tanks except with mirrored TC position and a 105mm L7. My first thought was...... anti-ATGM laser cannon in place of that .50 cal.? This will give Legend Productions something to do! I would never have thought that was an M48 under all that ERA. this vehicle first publicly surfaced back in March - there is already a 1/72nd resin kit out there (I think by Cromwell). Here I thought I had a scoop with a link from Foxtrot Alpha, when I find this stuff's been on here for two days. I do have an interesting thought, though. 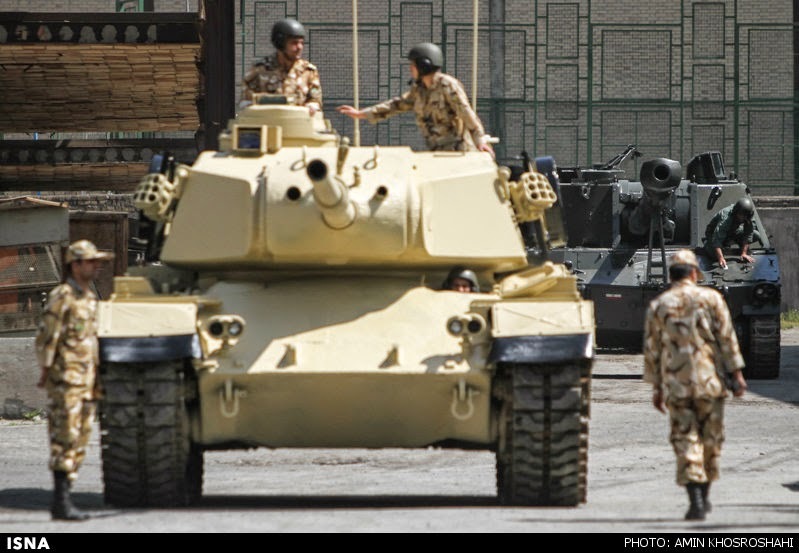 This is basically a Magach chassis with the missile launcher, and the Merkava VISMOD on the front. Wouldn't it be cool if they built a new turret with the missile launcher and some sort of autocannon so the vehicle's not toast if the enemy somehow closes with them. Thinking a 20-25mm in that fake barrel might be useful. Why not go with a 30mm? Better range and hitting power. There must be a self defense weapon of some kind on there. It looks like most mount a FN machinegun or two on the turret. With potentially a NLOS 15 km ranged missile I don't think you'd need more than a .50 cal for a self-defence weapon. Or they now have something even better. I believe I read somewhere that the weapon in the second picture is a 25 mm autocannon. I will see if I can find the source as I thought that I had saved a document about this upgrade somewhere. It is indeed a 25mm cannon (ATK LW25 to be specific - some details here and here: http://www.dtic.mil/ndia/2008gun_missile/6317LambJames.pdf) with 300 rounds. 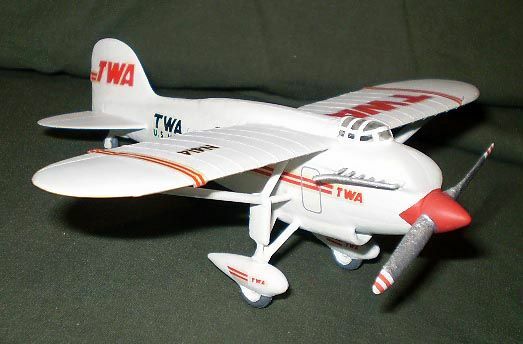 I think the most important question is does anyone make a 1/35 scale version of it? I can see a few places I would like to use it. 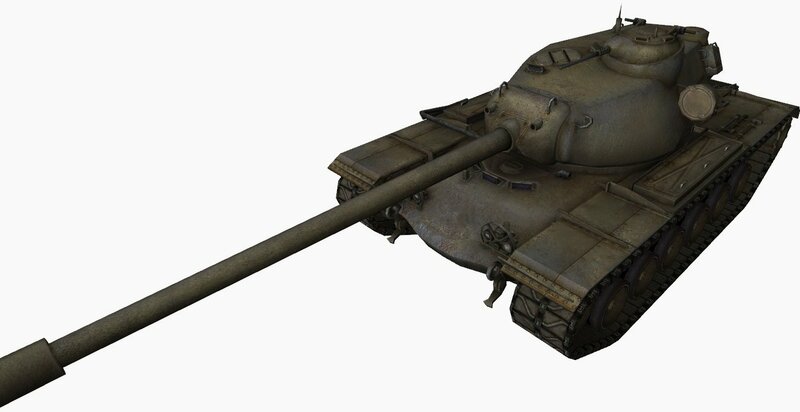 Following up on that picture of M48 with T95 turret, would the stock M48 turret already be roomy enough to accommodate the short-barrel 152mm gun-launcher's recoil? I keep on having this idea of a missile tank variant of M48A3 equipped with reactive armours, the gun launcher and a HESH round to go with the gun (so that the tank can serve a cover or secondary role as a siege vehicle) although I am under the impression that mass-producing the T95 turret might be a lot of hassle compared to simply up-gun the existing one. 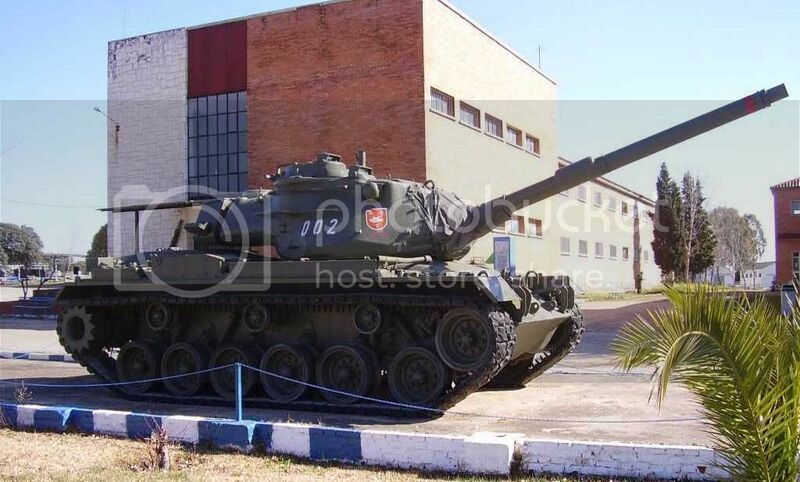 There is the M728 Combat Engineer tank with the 165mm gun. Maybe this is what you were thinking of. IIRC the gun was very effective. I...... want that Shillelagh capability to be exploited somewhere down the road though. Previous post edited accordingly. With the impending release of the T54E1 kit by Dragon what does everyone see as upgrades if it had gone into production? Maybe not used by the U.S. but sold to allies possibly. Interested in what others think it might have become. Here is what I am thinking for a late 1960's early 1970's upgrade package by those wizards of tank whiffing the Israelis. - Swap out the 105mm T140E2 cannon for either an L7 105mm or a Bofors made 62 caliber version as used on the Swedish S-tank for ammunition commonality. Need to do a performance comparison. - Go to a diesel power pack from the M60/Centurion for commonality. Seriously?! I just started work on the hull of the ancient Revellogram M48. I was going to kitbash/scratch build the turret. I only recently got back into building tanks and this may be more parts and $ than I'm ready for... Oh well, at least it will save me the embarrassment of my shoddy workmanship. As for mods, maybe a production version would have a commanders cupola/turret like the M48 and M60. Israel is a definite possibility for a what if customer. Hey Carlos, that short M47 is really cool and it's close to an idea I've been playing with for a while now. Still inspired by the T42 but mixed with some elements of the T20 family as well. For your consideration, what about trying the "Short 47" with a T23 76mm gun turret and an early cast Leopard 1 turret as well? I know that Germany did this combination only to test the turret, but is there anything that keeps this set up from being combat-ready and cannot be overcome? The M60 upgrade with a new long-barrelled gun-launcher turret is apparently known as "Chrysler K" as well (yup, recycling name from the thing that made it into World of Tanks).